Welcome to our website! We are Famille Mundi, an international theater company based in Paris. Here you can find information about our past, current, future and even imaginary projects. Famille Mundi in English means Family Mundi, Mundi standing for world in Latin. Our productions are born from an encounter, artistic and human, between people from different countries. They are entertaining, sad, informative, political, sometimes tragical, sometimes magical, just like our life. Summer Scriptwriting Base, one of the most exciting creative events in Europe, opens call for participants. Hurry up, the spaces are limited to twenty! 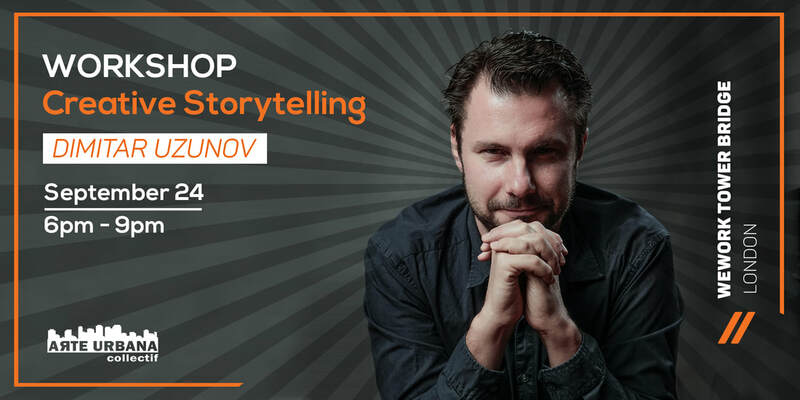 Dimitar Uzunov, artistic director of Famille Mundi, will run a workshop on Creative Storytelling in London in September. The open call for participants in the Summer Scriptwriting Base 2018 "Digital Village" is now on! 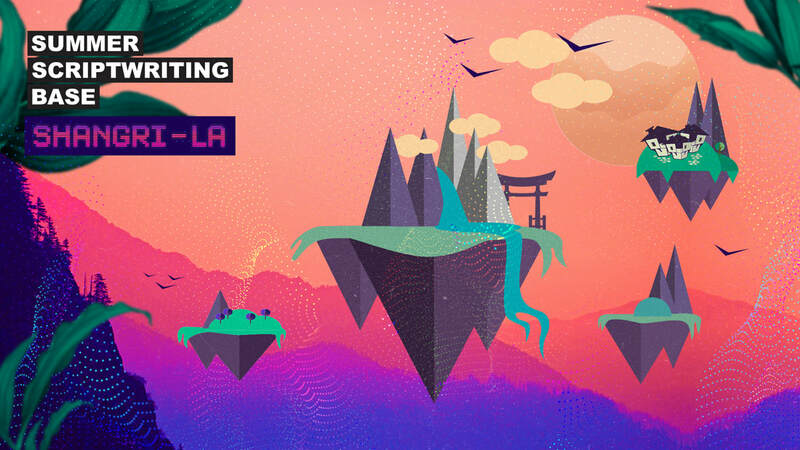 The theme this year is Storytelling in the Digital Age and the line-up is more than impressive. Deadline for applications: May 1. At the invitation of ADO theatre collective Dimitar Uzunov, artistic director of Famille Mundi, gave a masterclass in Baku, capital of Azerbaijan. For five days fifteen participants learned how to create and tell a beautiful story. The title of the masterclass was ARZULAR ("Dreams"). The results were presented in the beautiful concert hall of The Landmark hotel in the presence of Johan Schitterer, Cultural Advisor of the Embassy of France and Director of the French Institute of Azerbaijan and Gervaise Mathé, current IFA Cultural Officer. Famille Mundi is a partner of the second edition of the Summer Scriptwriting Base which will be hold this summer in Bozhentsi (Bulgaria). More information. "The State" is a concept for a theatre without actors and without a director. It explores the topics of how we build societies, how democracies function, whether there are agents-destructors and what it takes to cooperate with others. It also tells the story of a real Bulgarian man who burnt himself in a protest against the system. ​"The State", text by Alexandre Manuiloff, is translated from English into French by Nathalie Bassand, direction Dimitar Uzunov, production Familie Mundi, with the support of Institut français de Sofia. The event is part of the festival Europe des Théâtres organised by Maison d'Europe et d'Orient and the Eurodram network. FROGGY"S DELIGHT FOR "CABARET UNABOMBER"
"The sagacity of the formal and dramaturgical partitions of the director and the acting of seasoned actors contribute to a singular and totally successful spectacle..."
Interview for Radio Paris Fréquence Plurielle with Dimitar Uzunov, founder of Famille Mundi and director of "Cabaret Unabomber", on the occasion of the presentation of the show on 14th and 15th of April at 100ecs in Paris. Radio broadcast "Agenda" with Manon Giri. Bulgarian National Radio: for the Francophony International Day interview with Celine Barcq from Famille Mundi theatre company about the company and our last production and residency in Sofia - Cabaret Unabomber. In our section pictures you can now find pictures from CABARET UNABOMBER in DNK Sofia. The credits go to Johana Trayanova. In the end of February Famille Mundi will be in Sofia for an artistic residency. This is our first trip to Bulgaria and we are very eager to meet the audience and our Bulgarian friends! The DNK scene of National Palace of Culture will host our last production - Cabaret Unabomber. Partners of this residency are Institut Français - Bulgaria, SPEDIDAM, DNK scene, BBC knowledge (BG) and Arte Urbana collective - Sofia. Interview in French for the Bulgarian National Radio with Dimitar Uzunov, artistic director of Famille Mundi, for his project of Summer Scriptwriting Camp in Bulgaria. Click on the picture on the left for the interview. © Famille Mundi Company, 2008-2016. All rights reserved. Webdesign by nomad hobbit.